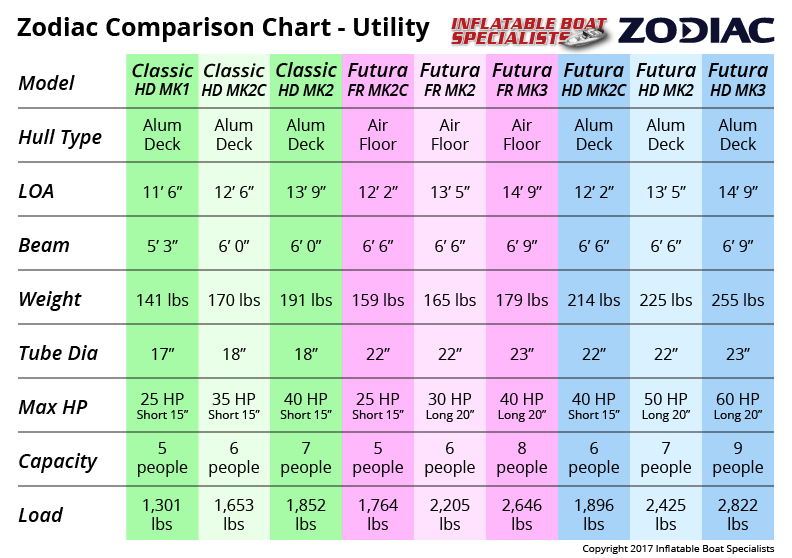 Zodiac Inflatable Boats have been the best performing boats for decades. Since the 1930's Zodiac's inflatables have been unsurpassed. They were used by Jacques Cousteau in the 1960's during his documentary efforts and have become ubiquitous since. 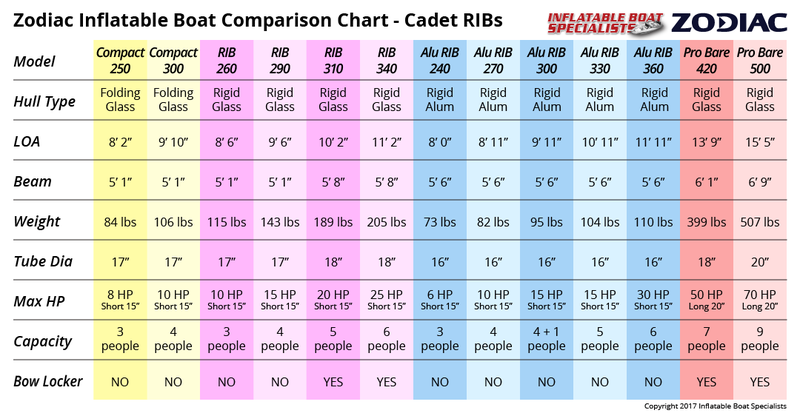 They produce an inflatable for every type of boater, from basic dinghies to deluxe tenders to large 28' sport RIBs, at nearly every price point. Any of our customers that demand performance are sold a Zodiac; the speed, handling, and hole shot are simply unmatched.